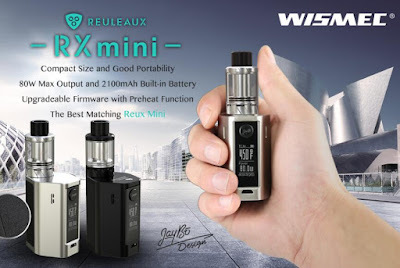 Reuleaux RXmini, a scaled-down version of RX series, designed by JayBo. Powered by 2100mAh built-in battery, 80W high power output. Reux Mini(Tank) can perfectly fit Reuleaux RXmini.